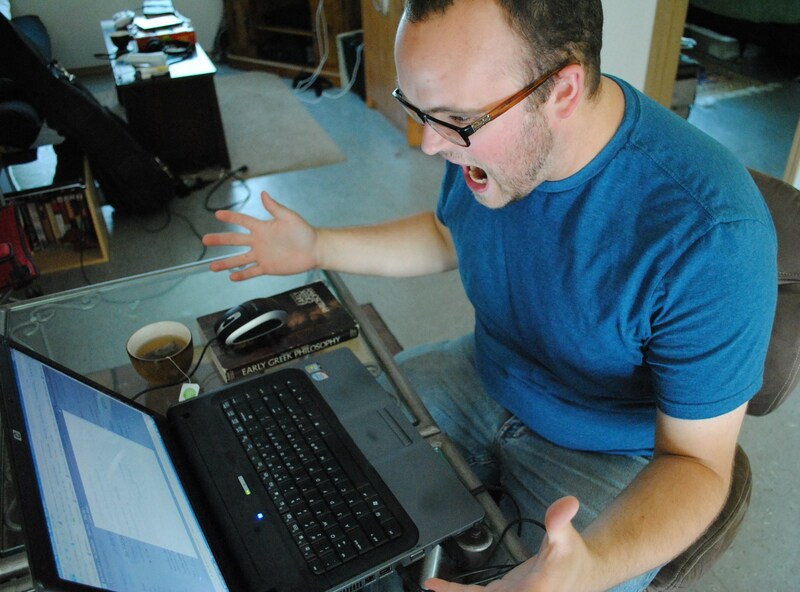 The blogger upon realizing that his FAFSA would remain incomplete until after he had found a computer that was too old to have Firefox 3.6.8 installed on it. Photo by Samuel Meraz. According to the Project on Student Debt‘s (PSD) 2008 study, 1.4 million American students graduated with some form of student debt. According to the PSD, 54% of UAF graduates had amassed over $28K in student loan debt upon completion of their undergraduate degree. The Free Application for Federal Student Aid (FAFSA) is that particularly lovely hoop that any student who craves federal assistance during their college career must jump through. That hoop has just gotten that much smaller. As it turns out, the most recent Firefox upgrade (3.6.8) is not compatible with the online FAFSA application. Firefox, which is operated by the Mozilla Corp., first launched in the Spring of 2004. Since then, it has become the most commonly used browser on the internet. According to w3schools.com‘s browser statistics page, 46.4% of internet users surfed the web through Firefox in July of this year alone. For contextual purposes, the second closest web browser is Google Chrome at 16.7%. “They didnt have the best designers working on the website,” Megan added.